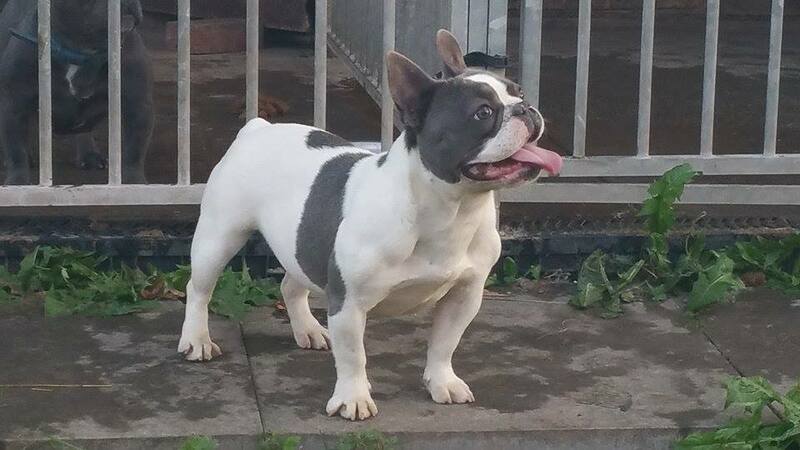 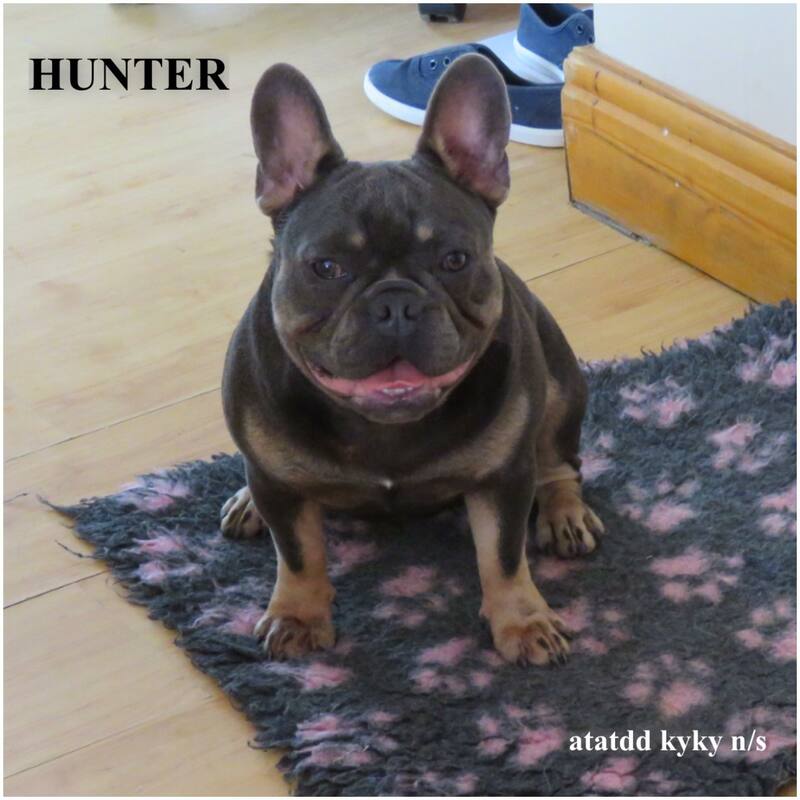 We are happy to announce our Top quality french bulldog litter available now dam is our own lovely uk bred blue pied girl anna who can be seen with her babies she has an excellent pedigree including some of the best french bulldogs in the country and excellent conformation and sire is the amazing Hunter one of the best fully health tested double AT blue and tan French bulldogs in the country with excellent conformation short and cobby how they should be.Both sire and dam have wonderful temperaments and are an absolute pleasure to own . 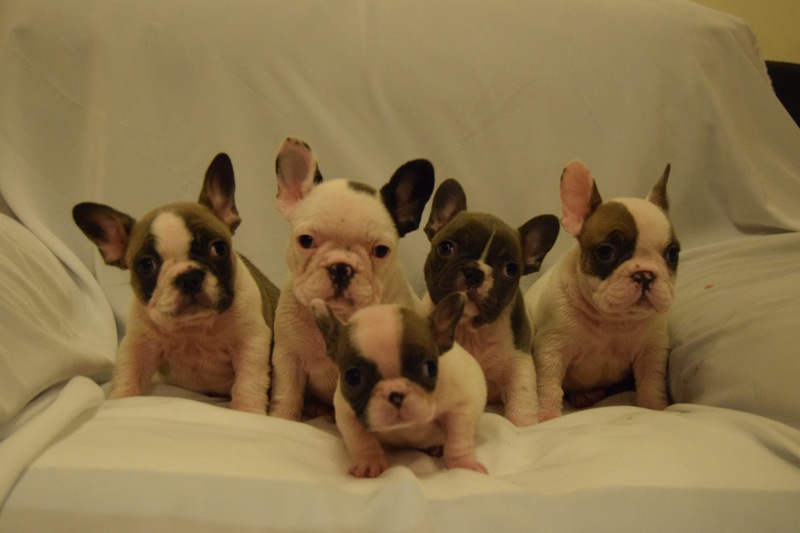 All puppies are raised in our home around other dogs kids and other animals they also are weaned wormed with drontal puppy wormer regularly de flead and vet checked before leaving with their kc registration with no endorsements and diet sheet no expense has been spared in the raising of these puppies we only use the best quality puppy food along with a raw meat diet to give them the best possible start in life they are short and cobby...as a french bulldog should be.....perfect confirmation in every way puppies are ready and waiting to leave for their new families now . 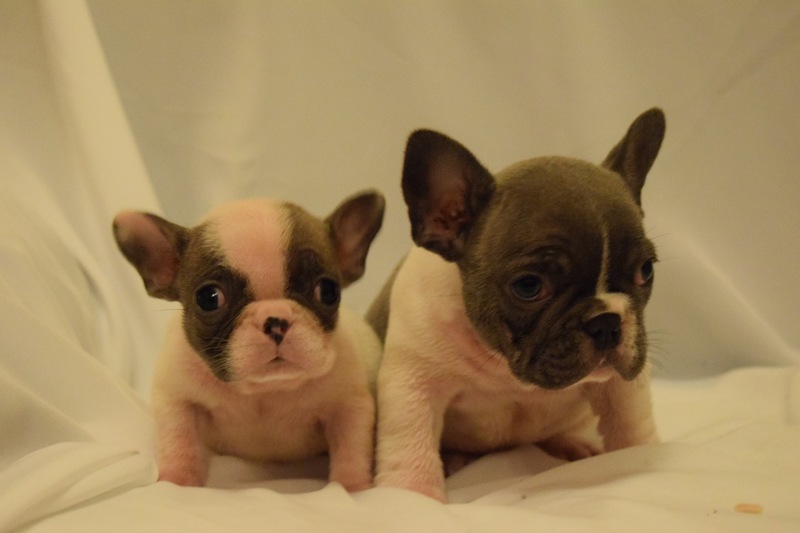 We have 1 big absolutely beautiful pied male still available who carries blue and AT and also one absolutely lovely very petite teacup style little blue fawn pied girl who also carriers AT.